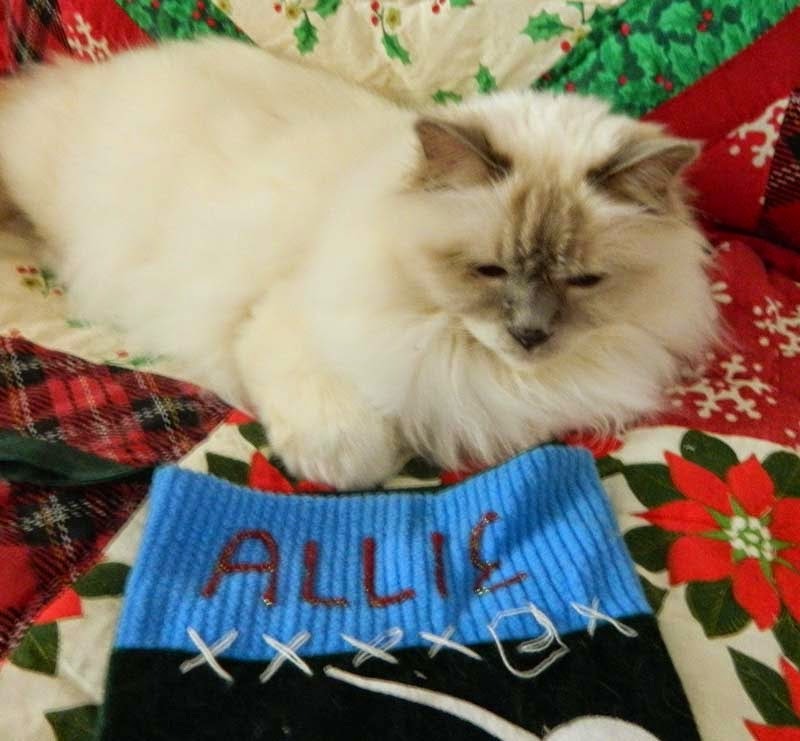 Dear Santa, I took this selfie of me with my stocking so you would know which kitty has been super naughty good!! Please don't believe any rumors you might hear. 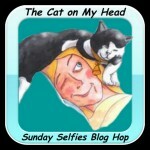 I hope you like my selfie! Allie, I'm sure you are a very good kitty! I am sure you will get lots of toys and treats. That is a lovely selfie, and of course Santa knows you have been good. We are sure Santa will love your selfie Allie. ((hugs)) to all of you and lots of love from all of us. You are a cutie, you are too cute to be on the naughty list. Allie you look super cute next to you stocking. Wishing you nothing but the best for Christmas and the New Year. You?? Naughty?? NEVER!!! I'm sure Santa knows that! We know Santa would never believe any of those rumors, Allie - you are a GOOD kitty!!! Allie, we know Santa Paws will fill your stocking to the brim! You can't possibly have a thing to worry about! That's a perfect selfie, Allie! Happy Sunday Selfie and Merry Christmas!